Soccer is one of the best sports in the world. Because of its enormous popularity, the prestige of playing for one for the top clubs is second to none in the sporting world. Millions of young soccer fans around the world dream of one day reaching the heights of some of the greatest players. In every generation, there is one soccer star who is considered "the best". The likes of Pelé, Diego Maradona and Zinedine Zidane have become icons of the sport. 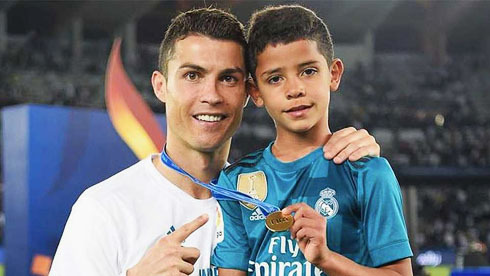 In the modern game, it is Cristiano Ronaldo who is considered one of the greats by most fans. Ronaldo's speed and accuracy are unparalleed in modern soccer. His speed, together with his ability to consistently score goals, has made him an invaluable asset for Real Madrid. Imagine trying to stop a ball that is flying towards you at you at 112 km/h! 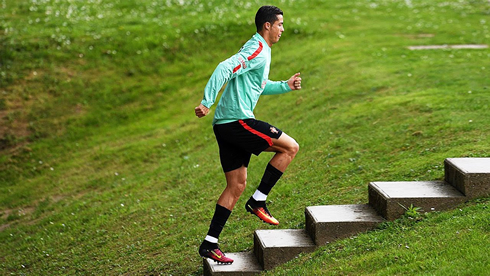 Needless to say, Ronaldo is incredibly dedicated to his sport. Every professional player has to devote a considerable amount of time to practicing and continually honing their skills. :: 1. Play as much as you can, with friends or teams from local clubs. The key to improving your skills is to start early and work hard. Try joining local teams that are at a competitive level, finding the best teams in your area can also improve your chances of being scouted. Playing with good coaches and enjoying a bit of competition will greatly improve your skills. :: 2. Improve your pace of play. Advanced players need to make decisions fast. You have to execute a pass or shoot within seconds. You have to learn to work on these decisions to improve your playing skills. :: 3. Practice more with your non-dominant foot. If you want to be a great player, you cannot focus on one foot. Even if you are terrible at first, practice with your non-dominant foot whenever possible. A two-footed player is surely a formidable opponent on the field. :: 4. Focus on defence. Your position in the field doesn't matter. Whatever position you play, you must be able to win the ball back. Individual defence is a core skill of soccer players, together with passing and shooting. Like any skill, you must practice to be better at it. Focusing on your skills is the primary step to reaching the goal of becoming an advanced player. Aside from this, you must also take into consideration the importance of equipment and sports gear. These days, compression shorts for boys are used to keep muscles warm and help with blood flow. While these boys’ compression pants are only secondary, it helps you play better when you have the proper gear.